Scottish Roe deer were introduced to the Lissadell Estate in Co. Sligo in Ireland around 1870 by Sir Henry Gore-Booth, Bt. The deer flourished and were noted for their occasional abnormal antlers and survived in that general area for about 50 years. 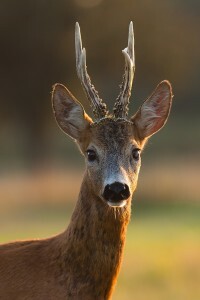 The Roe deer eventually carried, some of the largest antlers in Europe; this is usually attributed to the land lying upon limestone. Because of their depredations on young forestry plantations, the animals were shot out on the estate in the early 20th century.